ALL OUR ITEMS ARE CUSTOM MADE. PLEASE ALLOW SOME TIME FOR PRODUCTION. 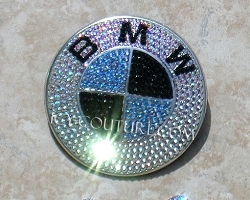 Custom BMW Emblems with Swarovski Crystals - Gold, Pink, Black, Any Color. Crystal Mustang Horse Emblem, front or trunk. Whats your color? Crystal Car Letters - Whats Your Car Model? Bling Your Lexus Emblems. Select Your set! Whats your color? 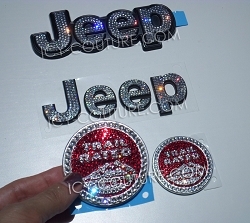 Crystal JEEP WRANGLER Replacement Emblems. Whats Your Color? 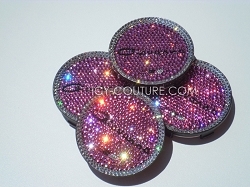 ICY Glam, Crystallized with Swarovski crystals, BMW SET: Pink, Black, Any Color! Crystal Toyota CAMRY letters - Bling Your Car! Bedazzled Swarovski Bling TOYOTA Emblem. Whats Your Color? Swarovski Crystal HONDA letters - Pink, Gold, any color! 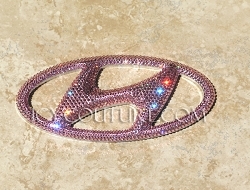 Swarovski Crystal Honda H Emblem! Black, Pink, Gold, any color! X5 - Custom Swarovski Crystal Car Letters. 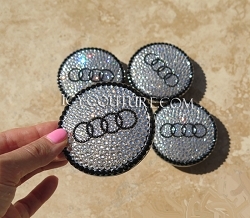 Bling Your AUDI emblem in Swarovski crystals! Choose Your Set & Crystal Color! PARTIAL BLING BMW Emblem. Whats your colors? Crystal PONTIAC GXP letters emblem. 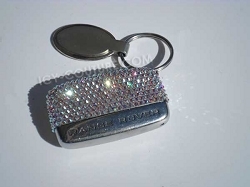 Bling Your Car! Swarovski Crystals CHEVY CAMARO Emblems. Whats Your Color? Select Your set. Crystallized RANGE/LAND ROVER Center Wheel Caps. Whats your color? 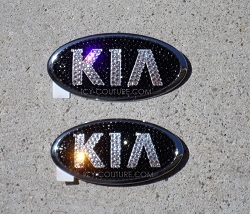 ICY Couture KIA Emblems Swarovski Bling. Select Your Set. Whats Your Colors? 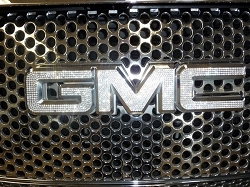 Partially ICED OUT GRILL with Swarovski Crystals! Whats Your Car? 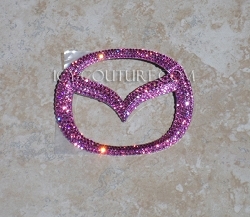 Bling Your INFINITI emblems! Whats Your Crystal Color? Cancer Awareness Ribbon Crystal Car Emblem. Whats Your Color, or design? Custom Colored Bling BMW Emblem - Build Your Own Crystal Colors! Bling Your Volkswagen BEETLE Emblem! Whats your color? Swarovski Bling NAVIGATOR letters - Pink, Gold, Black - Any Color! Custom CHEVY SUBURBAN Emblems with Swarovski Crystals . What your color? 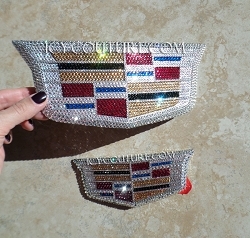 NEW STYLE CADILLAC LOGO Emblems with Swarovski Crystals. Select Your Set. Crystal GMC Center Wheel Rim Caps: Pink, Black, Any Color! 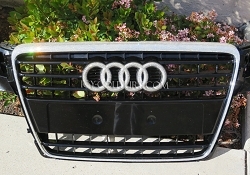 AUDI GRILL with Swarovski Crystals. What Your Color? 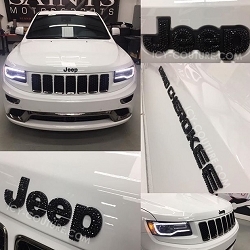 Crystal Bling JEEP GRAND CHEROKEE Emblems! Select Your Crystal Set. 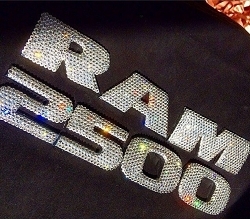 Crystallized DODGE RAM emblems Swarovski crystals! Choose Your Set & Crystal Color! 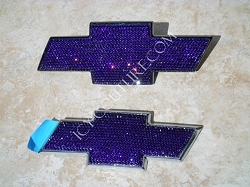 Crystal CHEVY SILVERADO Emblems with Swarovski Bling. What your color? ICED OUT CADILLAC SET Swarovski Crystals Diamond Clear, or Blacked Out. Whats Your Color? 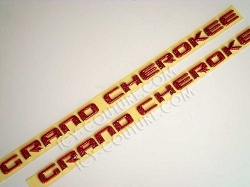 ICY Couture Grand Cherokee Door Letters (set of 2). Whats Your Color? Crystal PINK CADILLAC Emblems! Select Your Set. 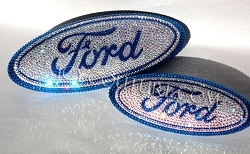 Swarovski Crystal FORD FUSION emblems. Select Your Set. Whats your colors? CHEVY COLORADO Bow Tie Emblems. Your Crystal Color, Select Your Set. 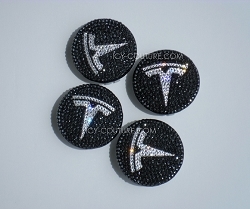 TESLA Center Wheel Rim Caps Swarovski Crystals. Whats Your Colors? Crystal JEEP SAHARA Replacement Emblems. Whats Your Color? ICED OUT CADILLAC Emblem - Diamond Clear, or Blacked Out. Whats Your Color? 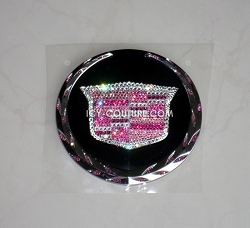 ICY Couture CORVETTE Emblems with Swarovski Crystals. Select Your Set. Whats Your Colors? FORD TRUCKS Crystal emblems. Select Your Set. Whats your colors? Corvette STINGRAY emblem with Swarovski Crystals. Whats Your Color? 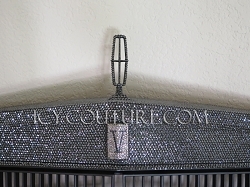 Corvette Letters Crystallized with Swarovski Crystals. Whats Your Color? Corvette Flag emblem Partially Iced Out. Whats Your Color? Custom ICY Couture Buick Emblems with Swarovski Bling! Whats Your Colors? 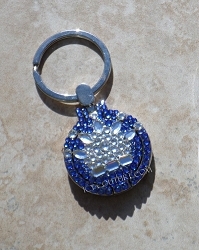 Autism Bling Ribbon Crystal Car Emblem. Crystal Bling DODGE Emblems. Select Your Set! 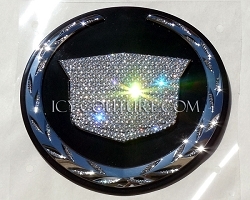 ICY Couture Crystal SATURN emblems. Whats your color? 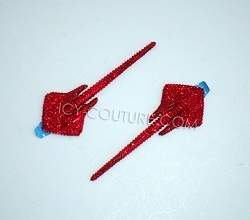 ICY Couture SOLID PINK, or other 2 Colors, BMW Emblem. SUV & Sedan BLING FORD emblems. Select Your Set. Whats your colors? Bling Your Car Letters! Crystal Pink, Gold, Black - any color! 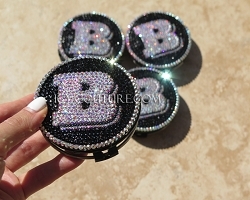 Bling Your Car's Side Mirror! 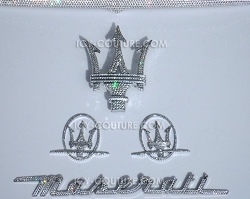 ICY Couture Crystal CHRYSLER EMBLEMS. Select Your Set! Bling QX56 letters for Your INFINITI! Whats Your Crystal Color? Swarovski Crystal HONDA ACCORD V6 letters - Pink, Gold, any color! Crystal Bling MERCURY Emblem - Whats your color? 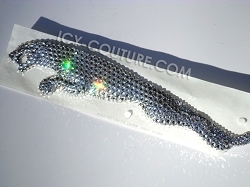 Bling Your JAGUAR emblem in Swarovski crystals! Whats Your Color? Crystal Zebra Print CHEVY Emblems. What Your Design? Crystal LEXUS letters! Whats your color? RIDGELINE letters for HONDA, bedazzled in Pink, Gold, Black - any color! PORSCHE Icy Couture bedazzled Crystal Car Letters! Whats your color? 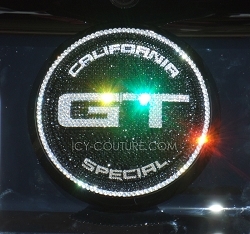 Icy Couture PORSCHE CAYENNE GTS Crystal Car Letters! Whats your color? TURBO Icy Couture bedazzled Crystal Car Letters! Whats your color? 760LI Icy Couture Custom Crystallized Car Letters! 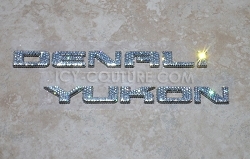 DENALI Letters with Swarovski Crystal. Whats Your Color? Custom Crystal Car Emblem - STAR. Whats your colors? Crystal MINI-COOPER Emblems. Select Your Set! Bling RX330/RX350, or other Lexus model letters ! Whats your color? Bling COOPER S letters. Whats Your Color? Custom Crystal ASANTI Center Wheel Rim Caps. Whats your colors? BMW Queen - ICY Couture unique Crystal Car Emblems. 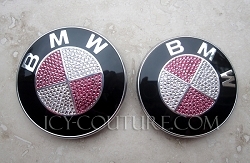 ICY BMW Queen - bedazzled crystal BMW SET: Pink, Black, Any Color! Crystal GT Mustang emblems custom made. Whats your color? Crystal KOMPRESSOR emblem - Bling Your Mercedes! Whats your color? 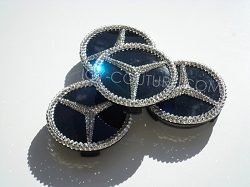 Mercedes G Series Swarovski crystal emblems. Select Your Set! ARMADA Swarovski Crystal Car Letters! Whats your color? Super-Girly ICY Land Rover Oval Logo Emblem. What Your Crystal colors? 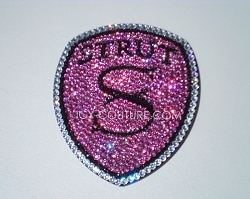 ICED Out STRUT Bling emblem with Swarovski Crystals. Whats Your Color? 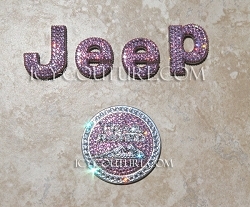 Crystal RANGE ROVER letters - Pink, Gold, Black - Any Color! 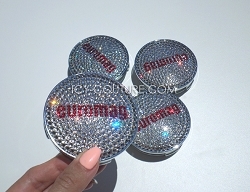 ICY Couture Swarovski Crystal Bentley Rim Caps. Pink, Black - Any color! Cadillac Escalade letters with Swarovski Crystals. Whats Your Color? Crystal BMW Center Wheel Rim Caps: Pink, Black, Any Color! Pair of BMW 3.0i Door Emblems - Swarovski ICY emblems: Pink, Black, Gold, any color! LE - Swarovski crystal Nissan Armada letters: Pink, Black, Gold, any color! 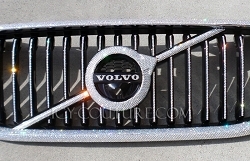 Fully ICED OUT with Swarovski Crystals Custom Auto Grill. Whats your car? Bling Your Volkswagen VW Emblem! Whats your color? You can either send your own emblems to us, or request us to order new from a dealership. If you need new parts, in your order please provide 1. Year, 2. Model, 3. VIN# of your car so dealership could look up your car and send us correct size emblems. Click on photo of your emblem in our gallery, select desired options for one emblem at a time to add it to the cart to get correct quote for your custom selections. If you dont see your car model in our gallery, please email us for a free quote. *We use a proprietary application process to attach the Swarovski crystals to car emblems, making them as durable and rugged as they are beautiful. 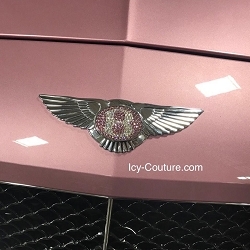 Icy Couture auto bling can even withstanding the most punishing of car washes! 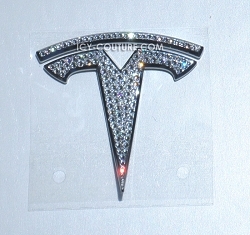 Disclaimer: We DO NOT manufacture auto parts, we only beautifully decorate Authentic auto parts with Swarovski crystals. ALL TRADEMARKED LOGOS BELONG TO THEIR RESPECTED OWNERS.